Reunification Palace is (known as Independence Palace) the famous historical witness which passed through the two fierce wars against the French and American colonists. The palace was built on the site of the former Norodom Palace, a landmark in Ho Chi Minh City and designed by architect Ngo Viet Thu. 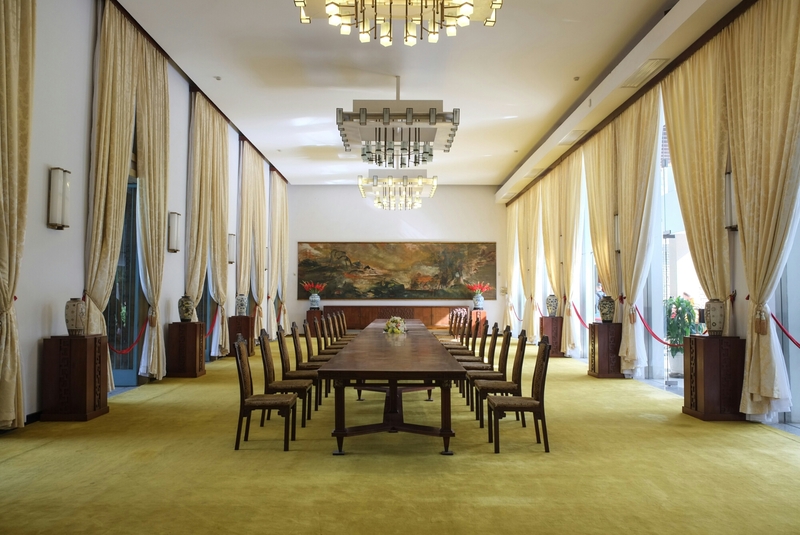 Reunification Palace also known as Independence Palace, built on the site of the former Norodom Palace, symbolizes the traditional philosophy, Oriental rituals and personalities of Vietnam nation in the harmonious combination with modern architectures. The Palace, a landmark in Ho Chi Minh City owns an area of 120.000m2 (300m x 400m), which is limited by four main streets, namely Nam Ky Khoi Nghia Street to the Northeast, Huyen Tran Cong Chua Street to the southwest, Nguyen Thi Minh Khai to the northwest, and Nguyen Du Street to the southeast. It is also surrounded by 30-4 Park in the front and Tao Dan Cultural Park in the back. In particular, the campus of the Palace is home to plenty of ancient trees with different species from the French period left. It is one of the most appealing attractions in Ho Chi Minh City for those preferring art and architecture. The architectural works was designed by architect Ngo Viet Thu - the first Vietnamese architect winning the First Grand Prize of Rome (Grand Prix de Rome) in 1955, the highest recognition of the Beaux-Arts school in Paris. Idea on designing an architectural work in kanji reinforces the Oriental significance in the modern presence of concrete that he ascertained from the West culture. Tourists to the Independence Palace are actually proud of the whole building architecture, which entirely built by Vietnamese people. The building was designed and constructed in the meaning of praying for prosperity and enduring forever. Independence Palace has become to "must-see" point for tourists who have a chance to take part in Ho Chi Minh City travel. With his own artistic eyes, the talented architect carried out a great architectural works along with the extremely logical layout of the interior and exterior architectural details. Accordingly, the front yard of the Palace is an oval-shaped lawn with a diameter of 102m. The green lawn creates the mellow and cheery feeling when tourists walk through the entrances. Running along the whole width of the hall is semicircular lake. In particular, lotus and water lilies floating in the lakes evokes images of tranquil atmosphere in ancient temples and pagodas in Vietnam. 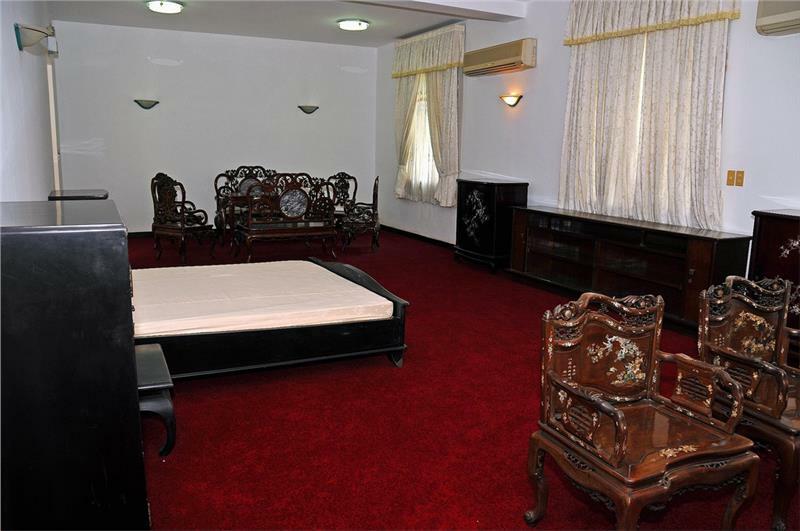 The cabinet meeting room and the banquet room is situated at first floor; the second floor is the home, reception, and workplace for the President of Republic of Vietnam; the third floor is designed for entertainment, reading, or playing cards; and the fourth floor is ballroom for parties. Notably, the basement floor is reinforced with concrete along with all facilities, maps, and the most modern equipments to control the war at that time. Particularly, the Palace still retains numerous valuable artworks. The banquet room keeps an oil painting depicting the landscape of Vietnam country, which architect Ngo Viet Thu completed in 1966. The watercolor painting "Vietnam nation" in State-reception room by Trong Noi artist and "Binh Ngo Dai Cao" painting by Nguyen Van Minh artist depict the peace of the country in the 15th century. 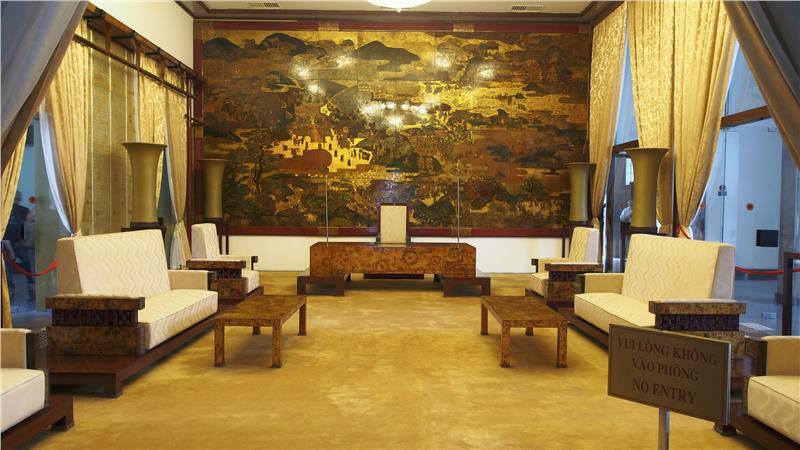 The Palace currently preserves 2 precious lacquer paintings by artist Nguyen Gia Tri themed "Lotus" and "Ke cuc (chrysanthemum)". Dozens of ancient Chinese ceramic vases from the Ming - Qing decorated with diverse themes can be also found here... Besides, outdoor exhibits on display today is the tank 843 which in the past led the final assault through the palace gate at 11.30AM on 30th April 1975, the F5E fighter plane which Lieutenant Nguyen Thanh Trung bombed the Independence Palace on 8 April, 1975. Two artifacts contribute to turn the palace into much more attractive to tourists thanks to their historical elements. The number of tourists to the Independence Palace is gradually increasing year by year, including both domestic and foreign tourists. The palace hosts about 700 - 1,000 tourists per day on average. The trip to Ho Chi Minh City would not be really incomplete without setting foot in the Independence Palace. 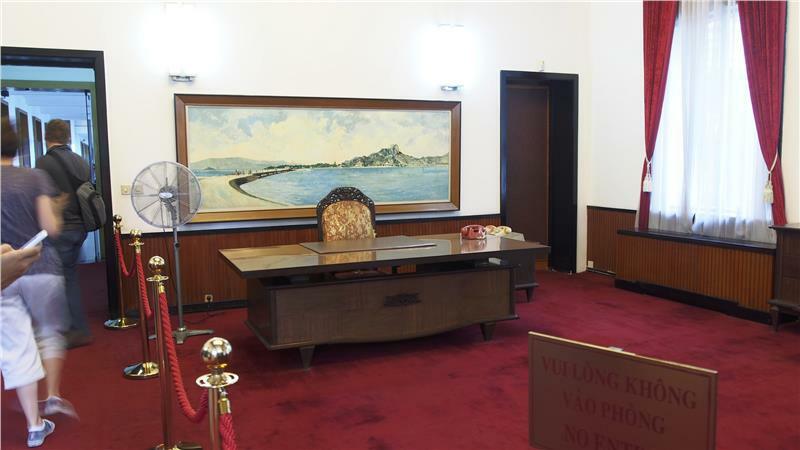 Visit the Reunification Palace - special national monument is to return to the root, which marks the historic victory of Vietnam nation. It seems to open up a new era: independence, unity and territorial integrity. Come to the palace to admire a stunning architectural works, which keeps tremendous cultural - historical values in Ho Chi Mịnh City. Reunification Palace has significantly contributed in promoting Ho Chi Minh City tourism to international friends.